The automated, neuroselective sNCT™ evaluation is indicated for any patient with a presumptive diagnosis of sensory nerve dysfunction that requires an objective quantitative assessment. Peripheral sensory nerve impairments may be divided into four major categories: polyneuropathy, radiculopathy, compressive neuropathy and focal nerve lesions. Additional valuable diagnostic information may be obtained to assist in differentiating axonal from demyelinating types of neuropathology. The sNCT evaluation procedure identifies and localizes areas of abnormal function, determines the severity of the abnormality and aids in the diagnosis by guiding and evaluating treatment. 1. 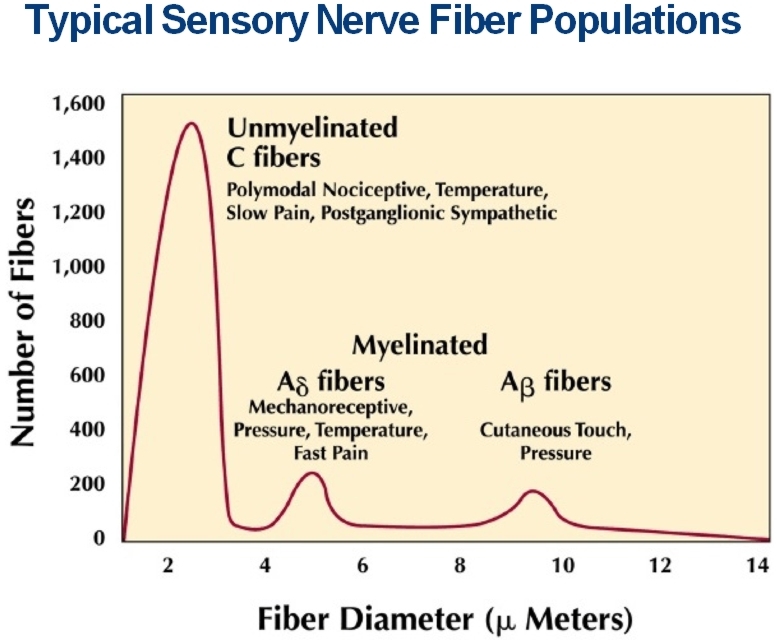 Identifying abnormal sensory nerve function. 2. Localizing areas of abnormal function. 3. Quantifying the severity of an abnormality. 4. 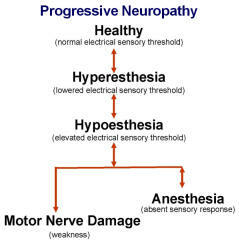 Monitoring the course of a progressive neuropathy or the efficacy of a treatment. sNCT studies are indicated for patients with a suspected diagnosis of sensory nerve dysfunction in need of confirmation and evaluation. The studies objectively quantify sensory function when the history (sensory symptoms) and physical examination (abnormalities detected with tuning fork, pinwheel, radiating pain reproduced with provocative orthopedic maneuvers etc.) merit further investigation. They are not indicated for routine use with every patient, however. For instance, gross, clearly delineated sensory impairments like hemiplegia or paraplegia generally do not require electrodiagnostic evaluations. 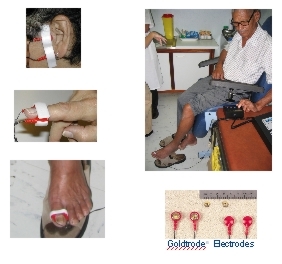 More focal, as well as more diffuse sensory impairments, often do require electrodiagnostic evaluations such as sNCT studies to precisely localize the somatic distribution and determine the severity of the impairment. 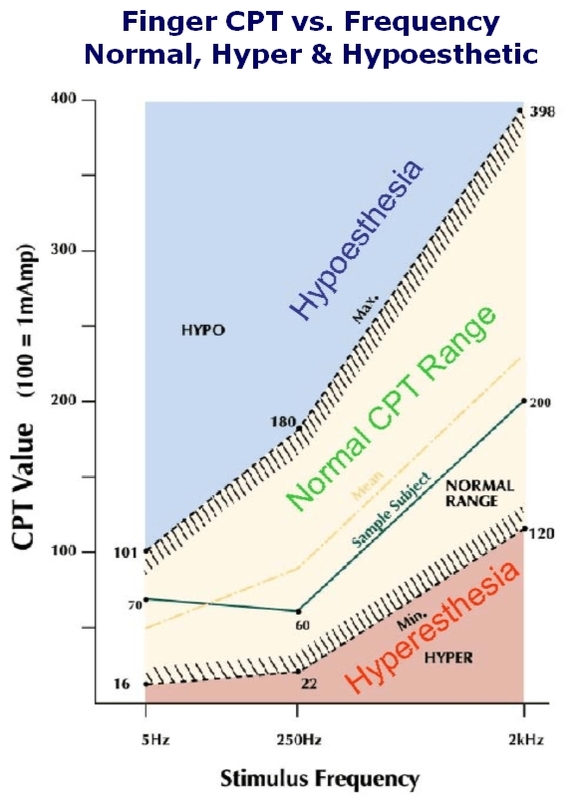 Incorporating clinical findings with the data provided by a sNCT study can assist the clinician to diagnose conditions cited at the top of this page. sNCT studies may be used to determine if a patient’s symptoms are consistent with sensory neuropathy or with a non-neurological impairment. Non-neurological conditions, such as vascular insufficiency, soft tissue lesions, arthritis, ligament sprain or muscular strain, can include symptoms of radiating pain that may mimic neuropathic conditions. Electrodiagnostic studies like sNCT, are used to confirm or rule out sensory neuropathy, assist in reaching a diagnosis and help in prescribing appropriate treatment. Also, although sensory electrodiagnostic studies can not directly evaluate motor impairments, many Medicare carriers support the use of sensory electrodiagnostic studies during the evaluation of ALS (motor neuron disease), myopathy (muscle disease) and neuromuscular junction disorders in order to objectively confirm the absence of sensory impairments.